Certain production processes can adversely affect the potency of certain nutrients within a blend. In addition, ingredient reactivity, instability and offensive sensory characteristics can cause significant problems during product development. 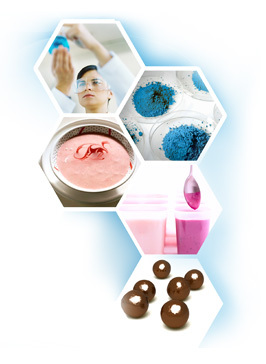 Our value-added SuperBlend® premix solutions can overcome those obstacles. Substituting specific SuperCoat® microencapsulated nutrients for standard uncoated powders, SuperBlend® premixes deliver performance and stability in high temperature and shear processes in extruded bars, breakfast cereals and viscous, opaque beverages. Major manufacturers are currently using SuperBlend® premixes due to their superior performance, especially in nutritional bars, RTD and intensive processing areas where shelf life and nutrient stability are key.